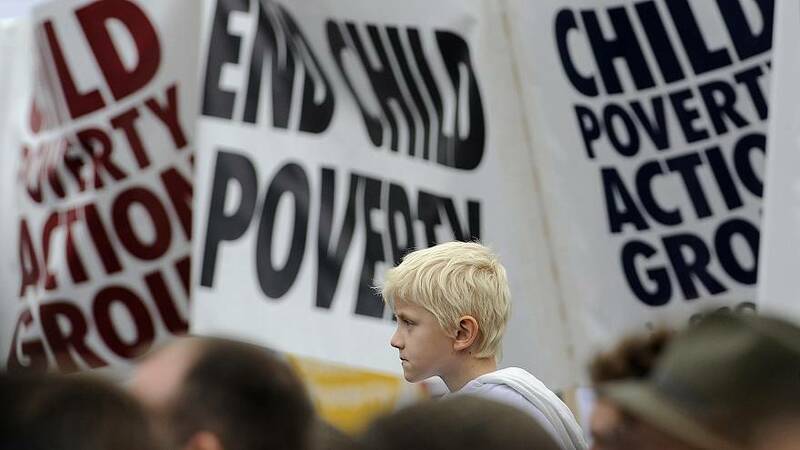 Teachers in England are witnessing the harrowing daily impact of poverty on their pupils, and it's increasing, a poll from the British National Education Union has found. The poll paints a "Dickensian picture of poverty", the Joint General Secretary of the National Education Union, Dr Mary Bousted, said. 48% of English teachers reported (out of the 1,026 who were polled) that holiday hunger among their students has got "worse than three years ago" -- 63% of them witnessed more families "unable to afford adequate winter clothes or shoes". Housing issues such as "poor quality, insecure, overcrowded or temporary accommodation" are cited by 46% of teachers, and a staggering 53% said they believed children would go hungry over Christmas. Some schools find themselves in a situation when they have to provide extra items and free meals for students and their families "because of extreme poverty", the poll noted 40% of respondents saying. Some teachers said they are "buying coats like never before"; others said they witnessed their students "mute", "making excuses, feeling ashamed." One said his students came "without coats" even in midwinter and with "shoes held together by tape". Another said "a third" of their class "sleep in their uniforms as they don't have pyjamas". Yet another listed: "Holes in shoes, no outside coat, trousers far too short, holes in clothes, still wearing sandals/unsuitable footwear in November (on very cold days)..."
The poll notes that teachers observed a wide range of consequences including absence from school (83%), behavioural issues (85%), concentration (81%), health (59%) and lateness to school (79%). "The Government is out of touch with the distressing new reality of children’s daily lives: with what it means to live without enough money for basics, such as food, shoes and adequate clothing," Dr Mary Bousted said in a press release. "These are shameful findings that have no place in a modern society."